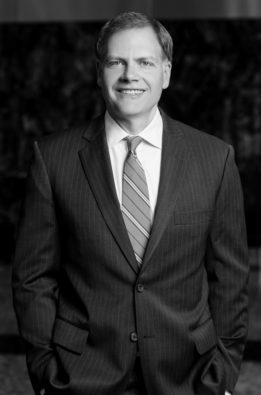 Walter is a Partner with Calcagni & Kanefsky, focusing his practice on white collar criminal defense and complex commercial litigation. Walter regularly defends clients facing allegations of healthcare fraud, off-label promotion, and antitrust violations, and he has substantial experience prosecuting and defending employment disputes, product liability claims, and intellectual property matters. Before joining Calcagni & Kanefsky, Walter was a Partner with a preeminent national firm where, in addition to his white collar criminal defense and complex commercial litigation practice, he also drafted and negotiated international IT outsourcing agreements, business process outsourcing agreements, software licenses, development and escrow agreements, and other IT and internet-related contracts. Walter began his legal career as the judicial law clerk to The Honorable Stephen Skillman, New Jersey Superior Court, Appellate Division. Achieved pre-trial dismissal of criminal Sherman Act indictment against senior executive of water chemical company who was alleged to have participated in a multi-year bid rigging, market allocation, and price fixing conspiracy. Representation of senior executive includes defense in related civil federal MDL cases and state qui tam matters. Successfully defended a senior financial executive in a five-week criminal trial of fraud charges brought by the Department of Justice – Antitrust Division concerning the reinvestment of municipal bond proceeds. Successfully obtained the dismissal of the indictment on appeal. Representing a senior sales executive of a multi-national packaged seafood company in an investigation by the Department of Justice – Antitrust Division into alleged Sherman Act violations. Defended an orthopedic hip and knee implant manufacturer in an industry-wide investigation by the U.S. Attorney’s Office into alleged Anti-Kickback and False Claims Act violations arising out of the company’s consulting arrangements with healthcare providers. Defense of the government investigation favorably concluded with the negotiation of a Deferred Prosecution Agreement. Represented of an orthopedic implant manufacturer in the successful implementation of a Deferred Prosecution Agreement, which required daily interactions with Chief Compliance Officer, Vice President of Medical Affairs, and a Federal Monitor on issues related to the development of a state of the art healthcare compliance program. Defended pharmaceutical company in an investigation by the U.S. Attorney’s Office into alleged violations of the Anti-Kickback Statute through the claimed manipulation of the spread between AWP and WAC. Represented a regional sales manager in an investigation by the U.S. Attorney’s Office, District of Massachusetts, into the alleged off-label promotion of Bextra, resulting in the negotiation of a favorable plea agreement. Defended a senior executive in an investigation by the U.S. Attorney’s Office, Eastern District of Pennsylvania, into the alleged off-label promotion of Risperdal. Represented a senior executive in an investigation by the U.S. Attorney’s Office, Northern District of California, into the alleged off-label promotion of Natrecor. Represented a regional sales manager in an investigation by the U.S. Attorney’s Office, Northern District of New York, into the alleged off-label promotion of Xibrom. Represented an employee in an investigation by the U.S. Attorney’s Office, Eastern District of Pennsylvania, into alleged good manufacturing practice violations and related recall issues. Defended an executive of a pharmacy benefit manager in an investigation by the U.S. Attorney’s Office, District of Delaware, into an alleged conspiracy between the PBM and a pharmaceutical company client to circumvent best price rules. Represented several related pharmaceutical companies in an investigation by the U.S. Attorney’s Office into destruction practices for expired and non-conforming pharmaceutical products. Defended an orthopedic surgeon in connection with a criminal complaint for allegedly accepting payments from an imaging/diagnostic company in exchange for referrals. Represented a dietary supplement manufacturer in challenge of FDA final rule declaring dietary supplements containing ephedrine alkaloids adulterated. Performed a complete policy and procedure review and update for a pharmaceutical company in order to comply with the requirements of a corporate integrity agreement. Conducted more than 25 nationwide internal investigations for corporate and governmental clients, including investigations of alleged reportable events under corporate integrity agreements, employee misconduct, intellectual property theft, conflicts of interest, workplace harassment, improper sales practices, and other legal and ethical violations. Performed a comprehensive healthcare compliance audit of a 5,400-employee hospital system in southern New Jersey. Performed an internal investigation for New Jersey Transit to evaluate its Super Bowl rail service performance. Investigatory report publicly available at http://www.njtransit.com/AdminTemp/SuperBowl_Report.pdf. Defended a retired head of research of a publicly traded company in federal putative class action litigation regarding the alleged fraudulent concealment of asbestos in the company’s products for over 30 years. Obtained voluntary dismissal of complaint after extensive motion and appellate practice. Argued appeal before the New Jersey Supreme Court regarding the appellate process for orders compelling arbitration. GMAC v. Pittella, 205 N.J. 572 (2011). “Towards a Unified Approach on Protection of Genetic Information,” The Metropolitan Corporate Counsel (March 2003). “Key Strategies for Successful Intellectual Property Management,” The Metropolitan Corporate Counsel (February 2003). “The Impact of Canadian Privacy Legislation on US Organizations,” The Computer & Internet Lawyer (June 2001).